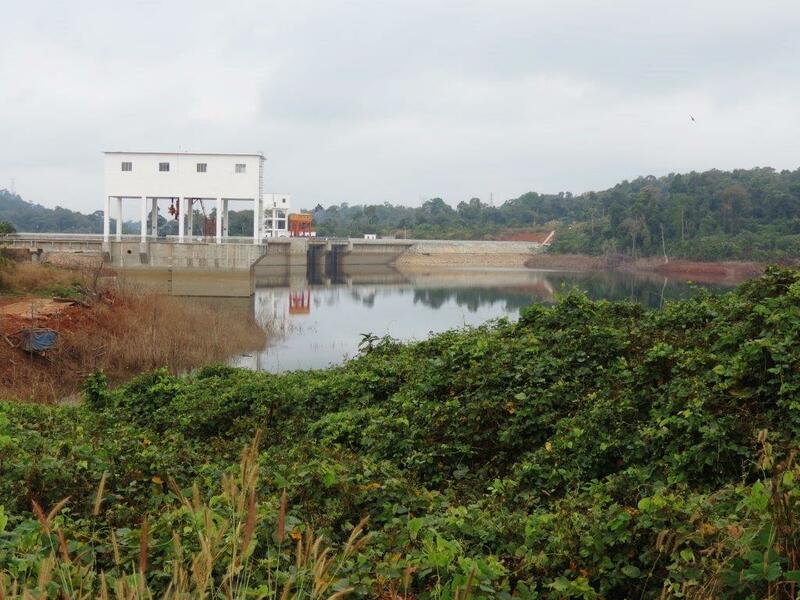 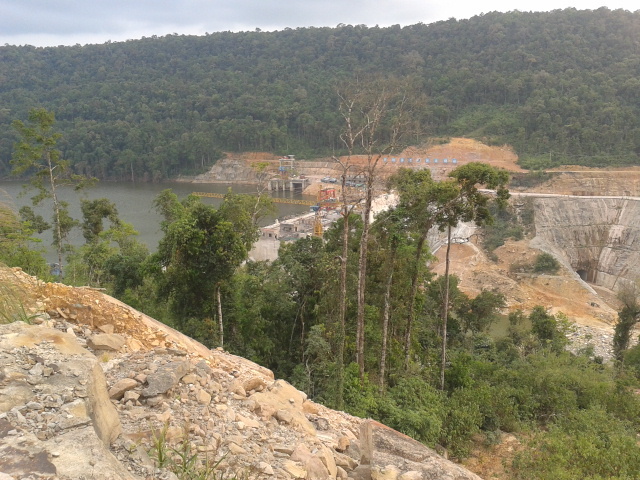 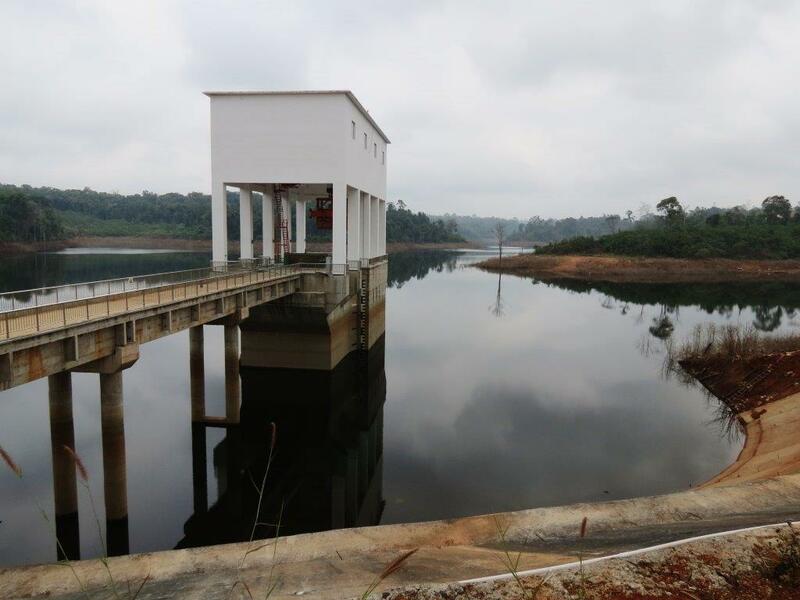 The Stung Atay dam in southern Pursat is open as of the end of 2013 despite lack of fanfare. 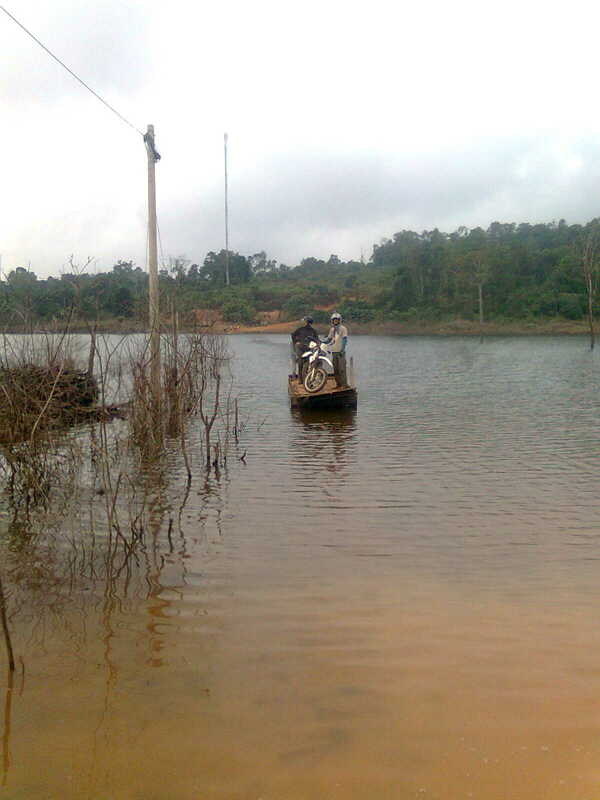 The previous rumours about damage or delay seem to be unfounded. 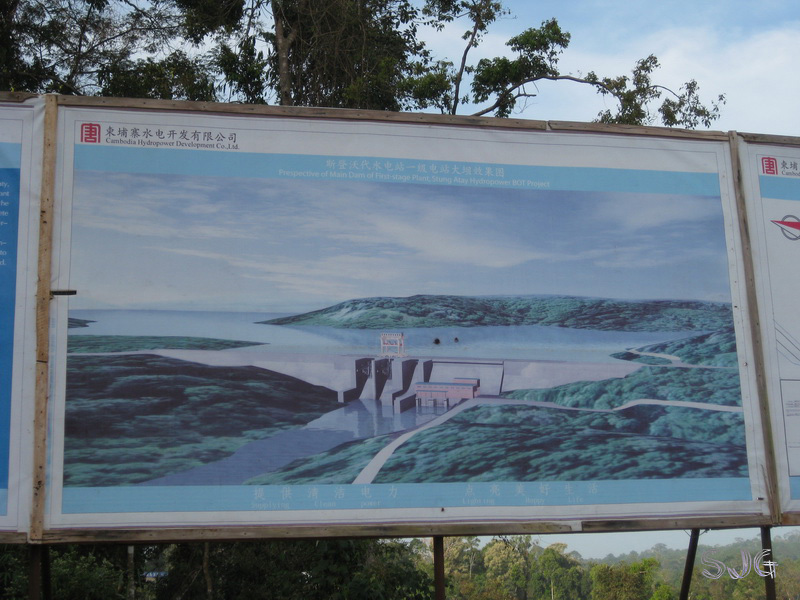 The dam’s reservoir extends north along the Atay river past the classic Cardamom’s town of O’saom. 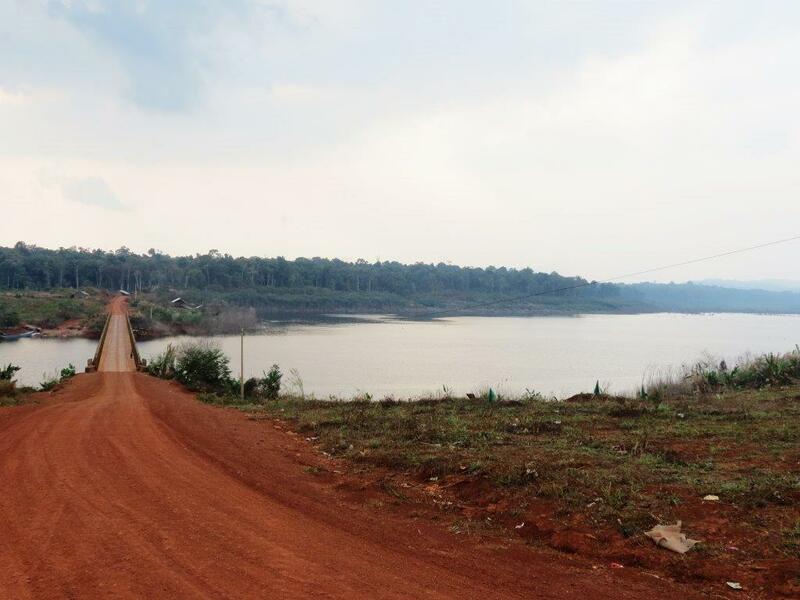 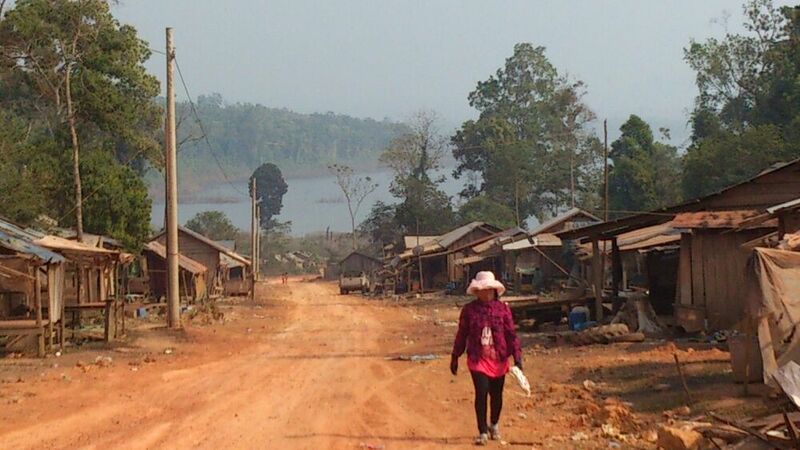 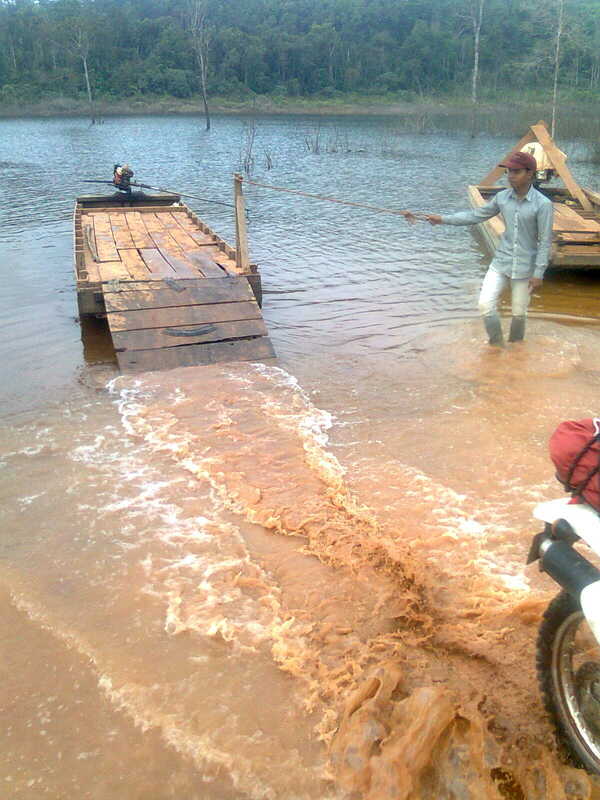 Between O’saom and Pramaoy, the old road is flooded and an extra 10km is now required to take a new road which wraps around a portion of the reservoir. 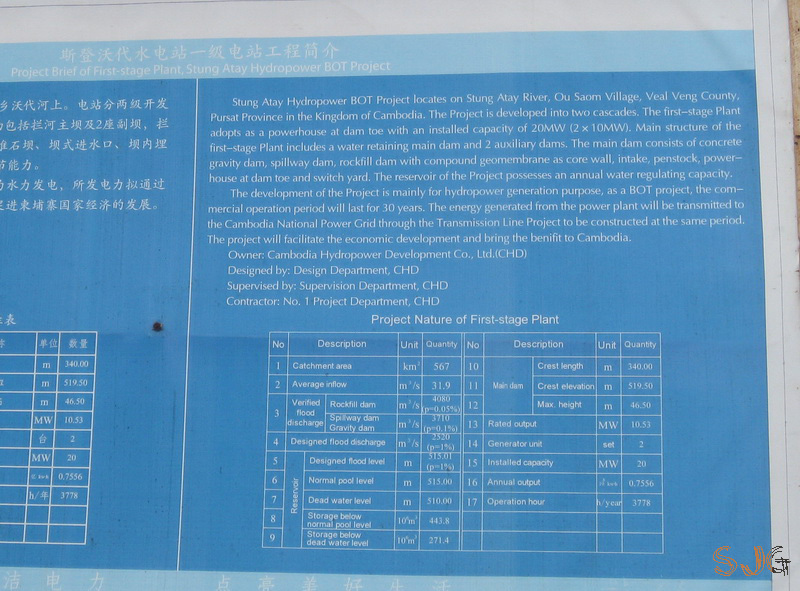 Controversial projects better not have any complications to attract any additional media attention. 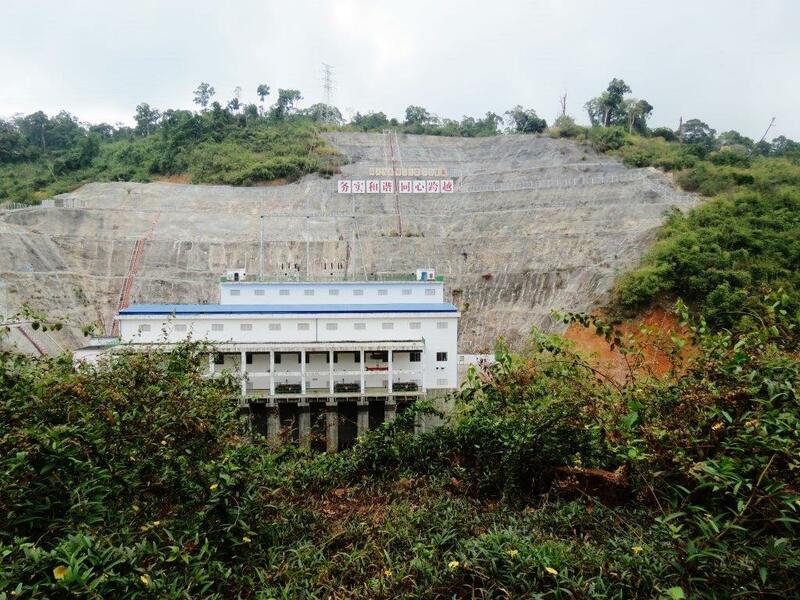 This isn’t the case for Stung Atay dam which partially collapsed in early Dec 2012 leaving 4 missing and presumed dead. 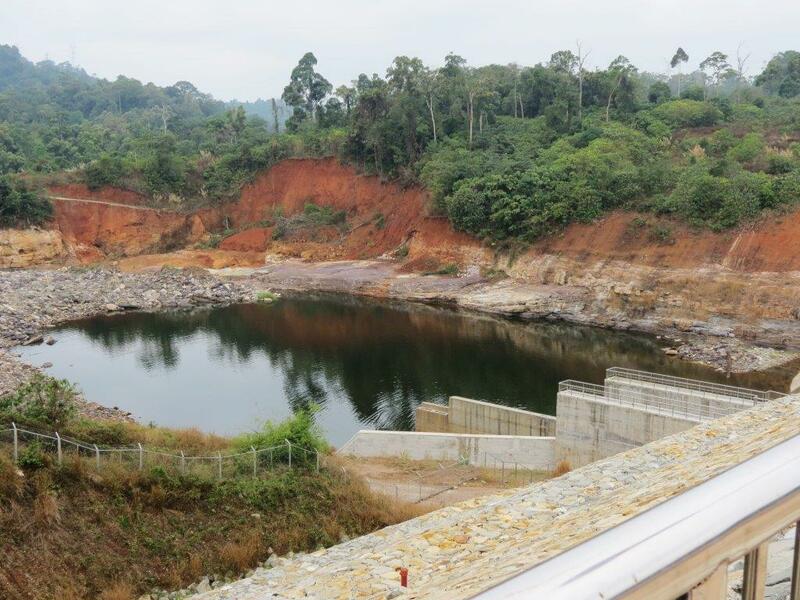 There are likely more than this official amount since the whole reservoir emptied but news doesn’t travel intact out of the deep jungles of Pursat. 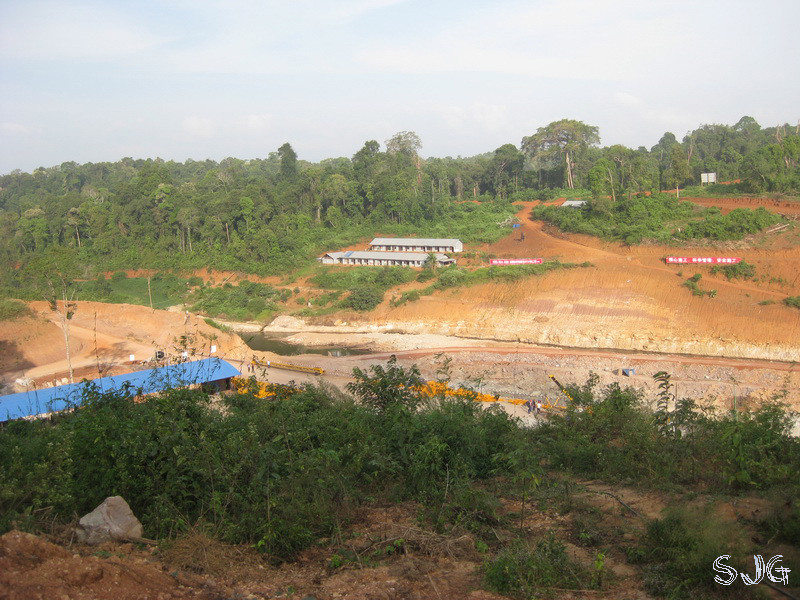 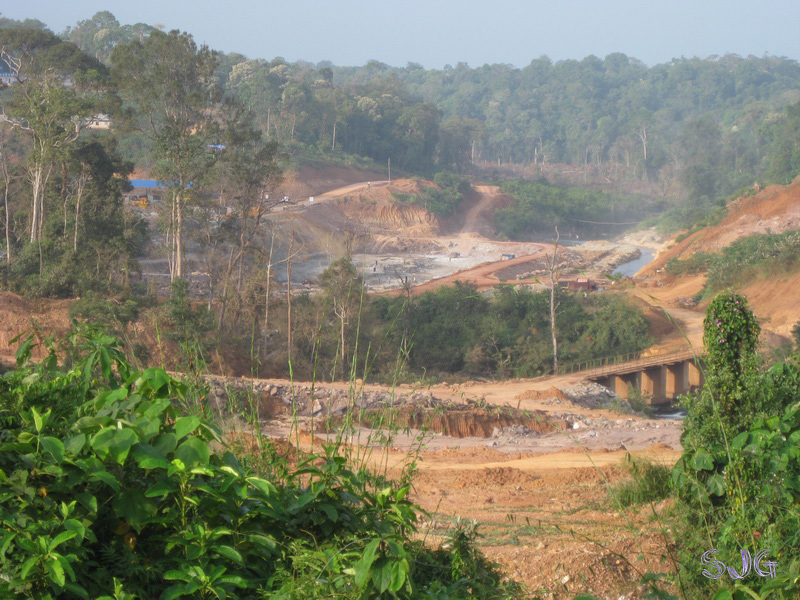 Our Chinese friends are hard at work carving a huge hydro dam out of the jungle near O’saom in southern Pursat. 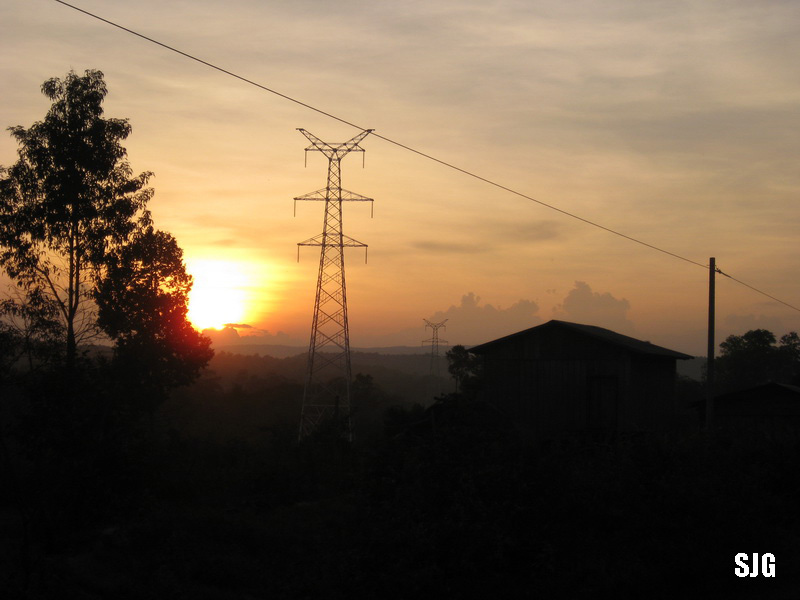 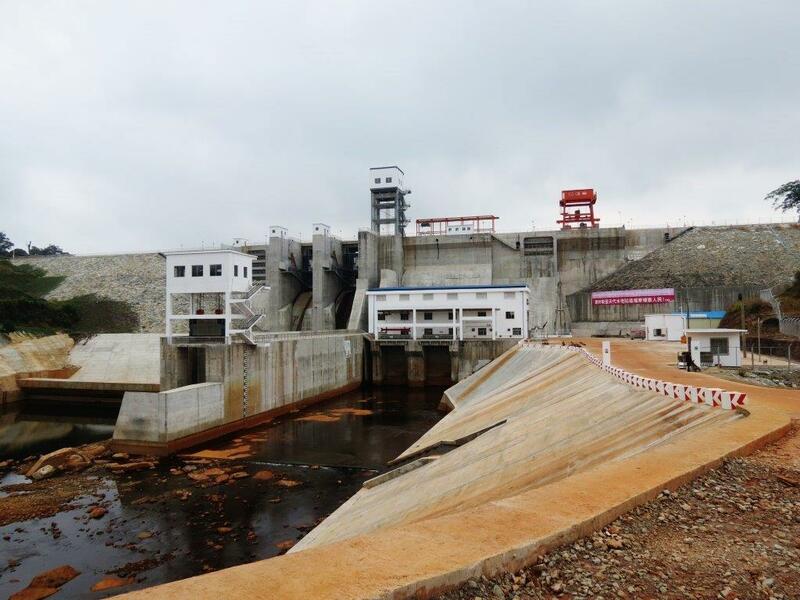 Forshadowing the huge development are the hundreds of towers being constructed from the provincial capital to the dam in order to hold the 256kV power line needed to transfer power from the new dam to the national grid. 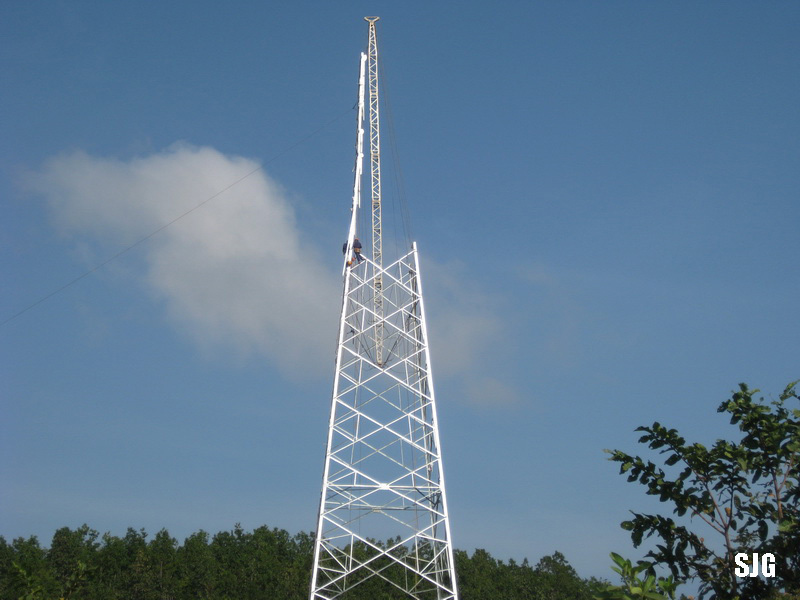 New power pylon (tower). 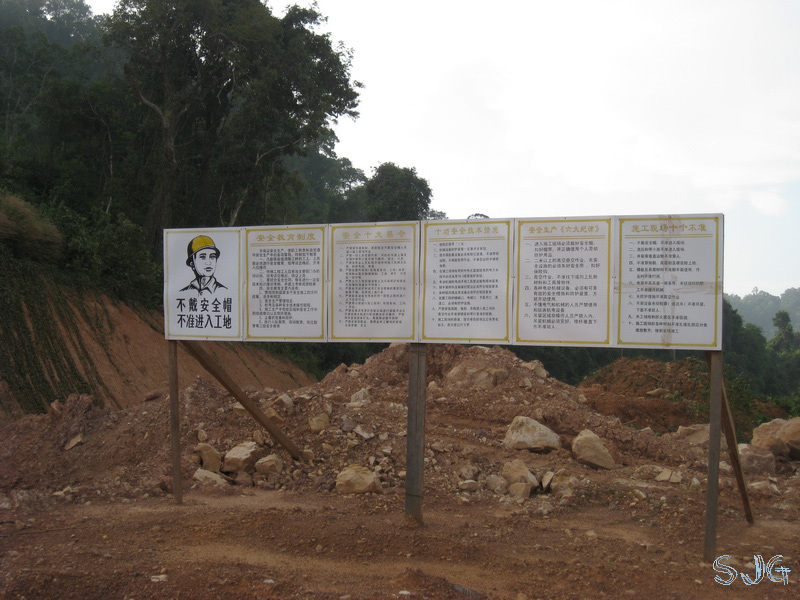 Takes 3 days for a good crew after foundation already finished they tell me. 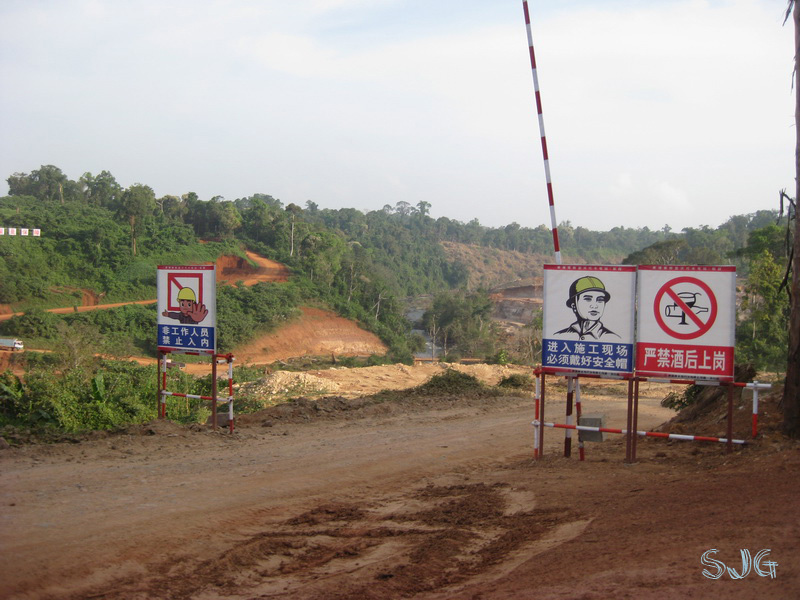 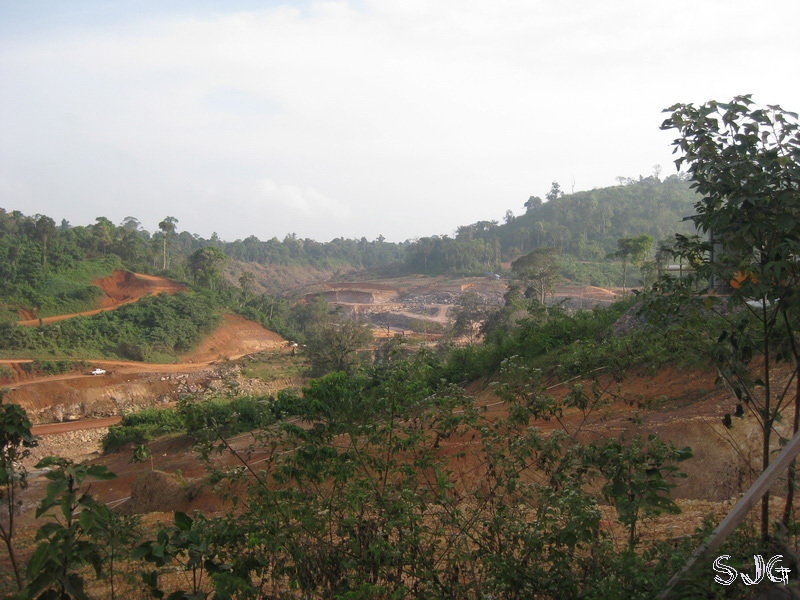 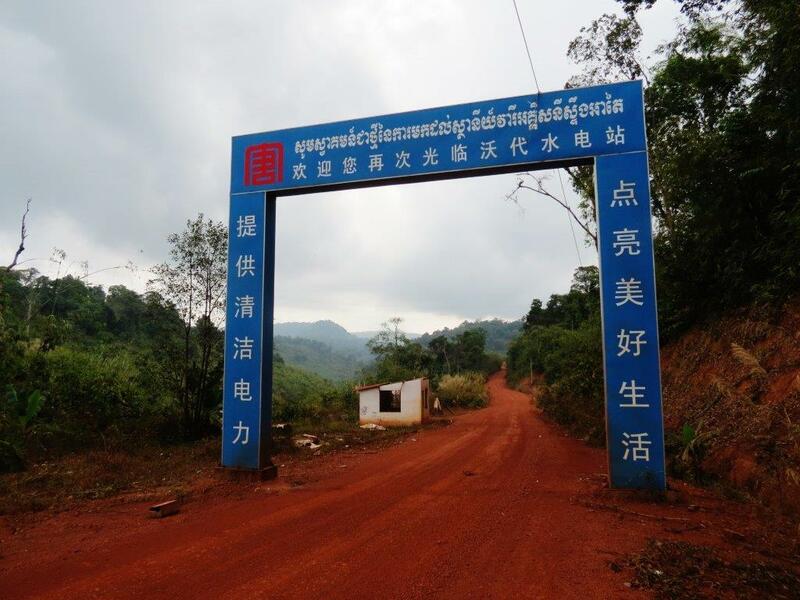 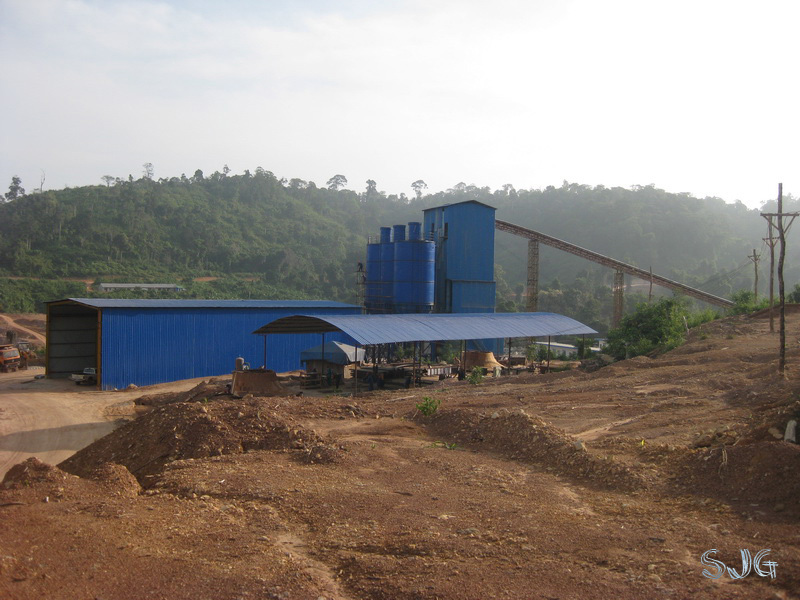 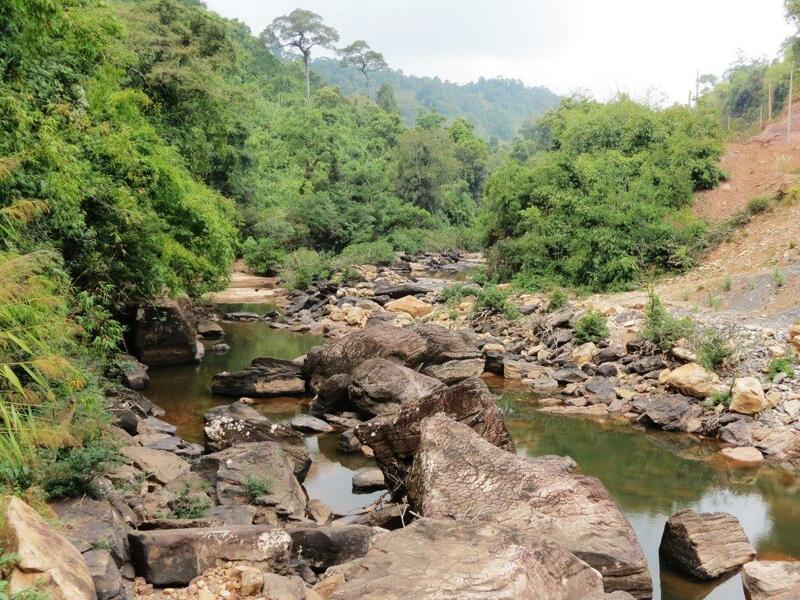 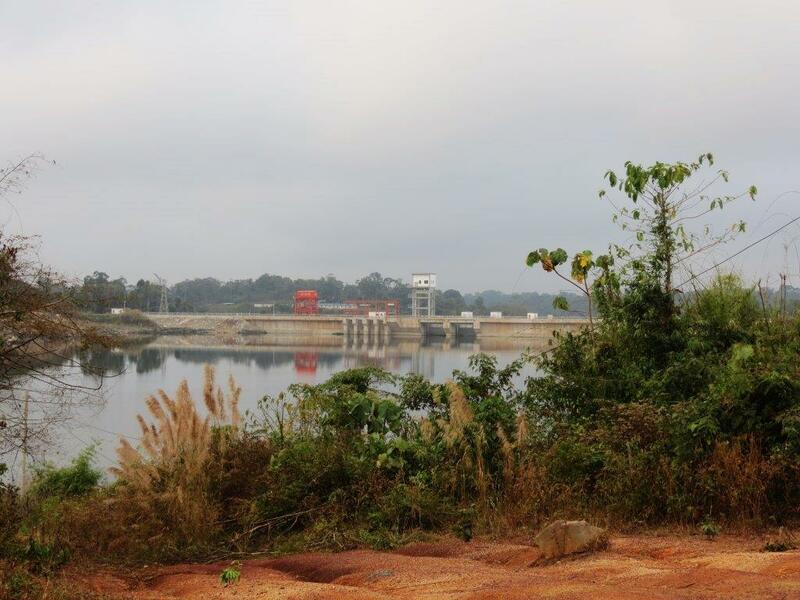 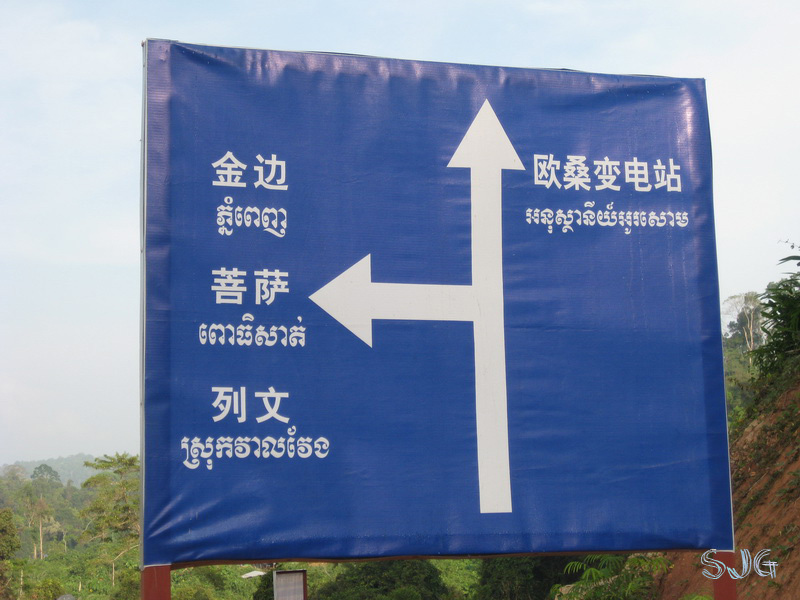 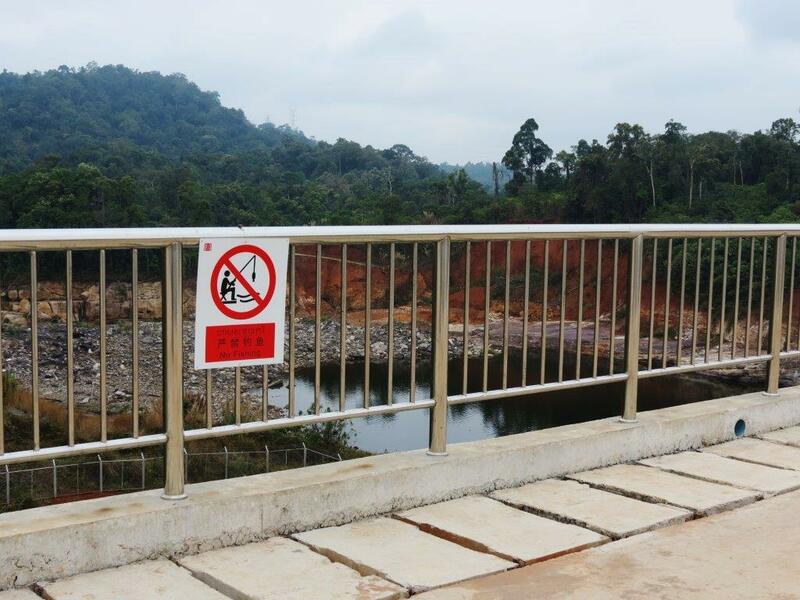 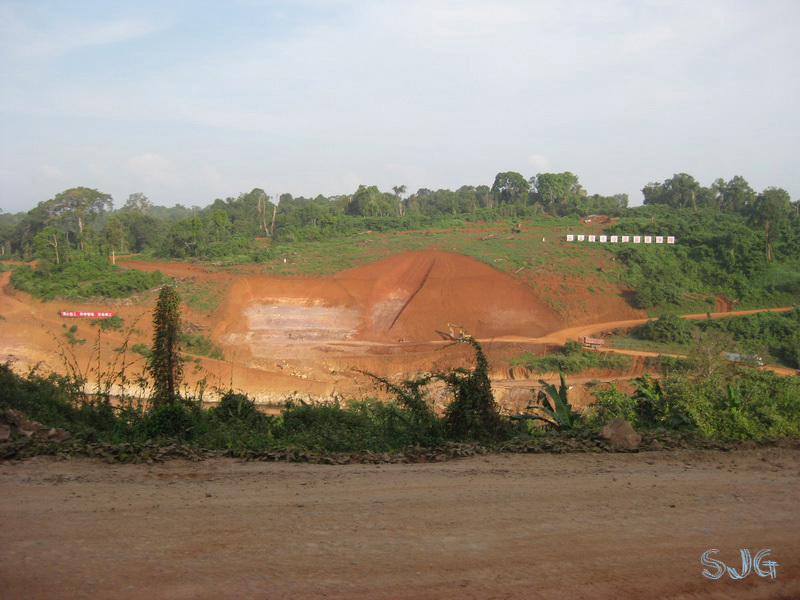 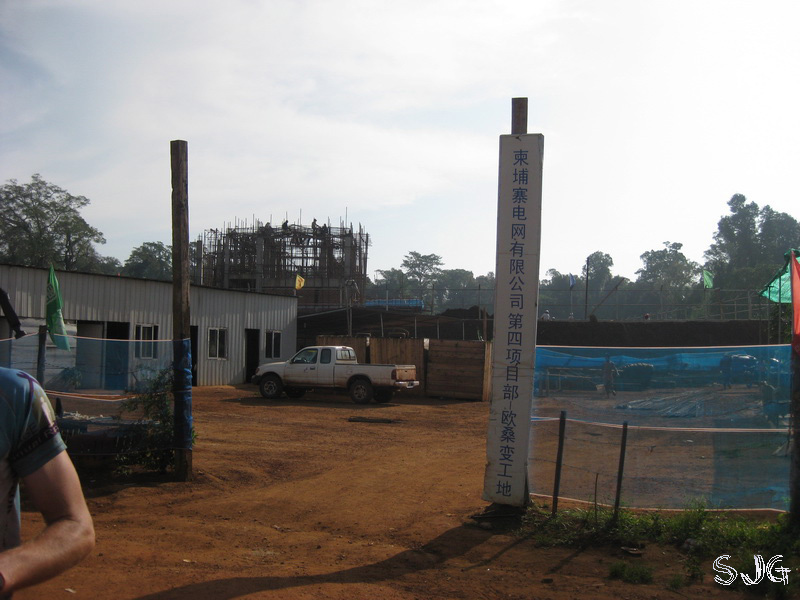 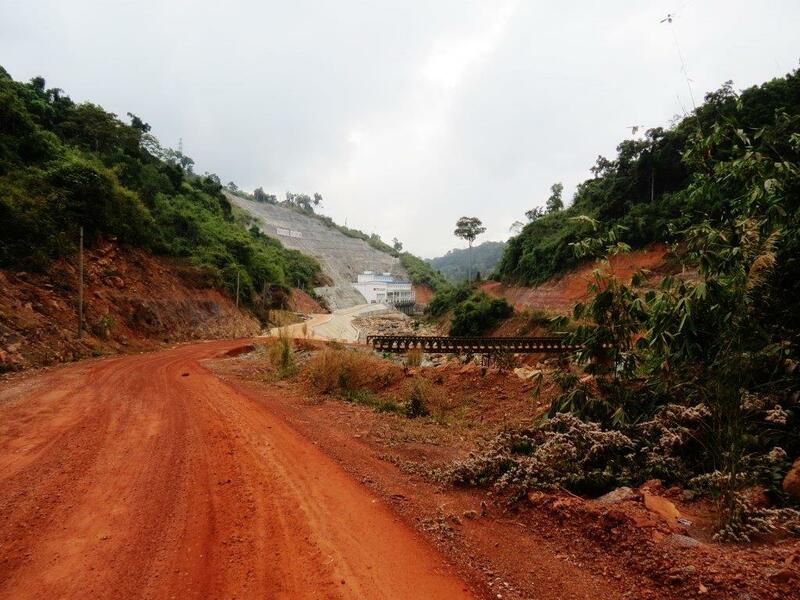 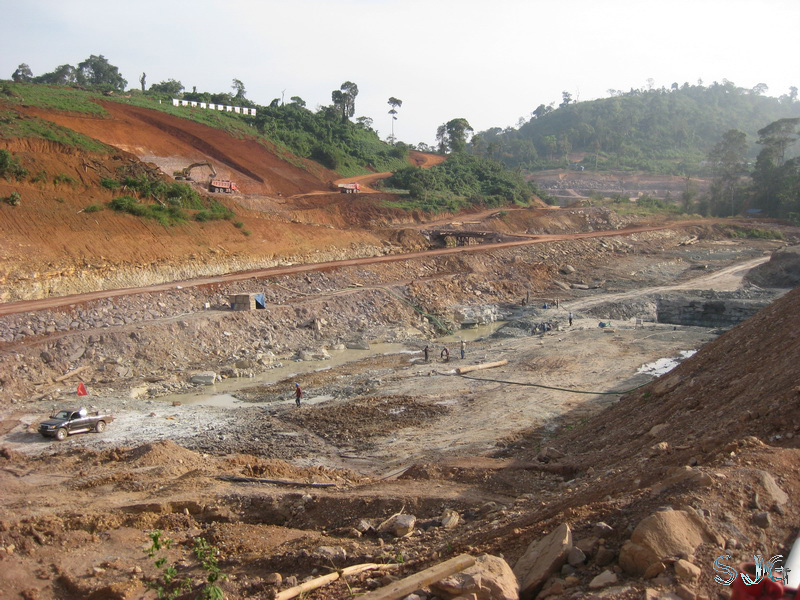 The Stung Atay dam is to be constructed near the Cardamom’s town of O’saom which is deep in the Cardamom mountains. 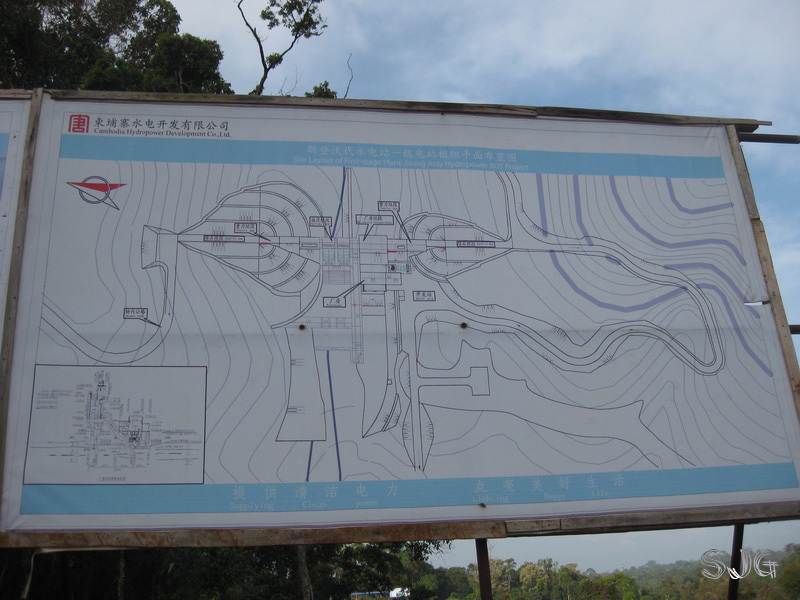 It is conveniently just outside the national park but the area doesn’t look much different. 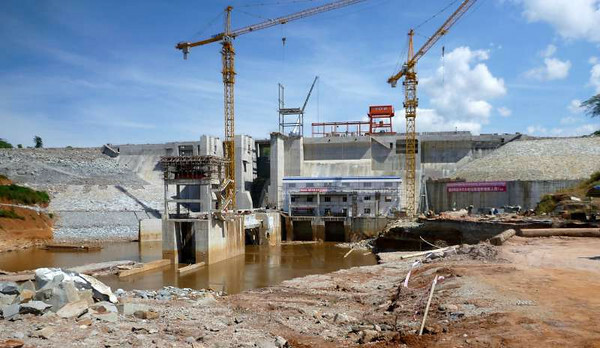 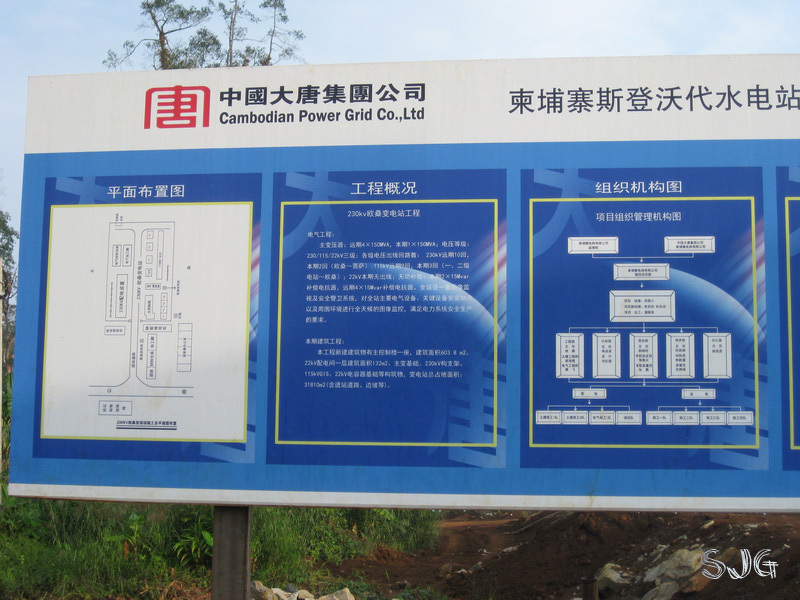 It is difficult to find information about the dam but most information suggests the final size will be 120MW and online 2012, so lets say maybe around 2015.